Imagine if you were a recovering alcoholic. You hadn't taken a drink in quite some time, attended AA meetings conscientiously, and were getting on with your life. Then your employer had a drinking contest and told you that you weren't drinking enough. Further, if you failed to drink more, you would be fined. So you need to start drinking again for else! Preposterous? Yes - but that is exactly what people with eating disorders (ED) are forced to endure in many wellness programs. They are urged to eat less, and docked points or money if they don't. Most importantly, they are shamed into relapses by vendors who have no idea what harms they're causing -- and who have no desire to spend money to train their employees to avoid them. Yet eating disorders have the highest mortality rate of any mental illness, killing one victim every 62 minutes. As you can see from the four stories below, workplace wellness actually exacerbates the problem. Wellness programs clearly caused these relapses and no doubt many others and likely even some hospital admissions as well: as a percentage of total admissions, hospital admissions for anorexia in the commercially insured population climbed 17% between 2000 and 2014 (the last year for which data is available) despite the vast increase in outpatient and residential treatment options. My dietitian wrote a letter urging that I not be weighed or have my body mass index measured by the program, as that would be detrimental to the progress that I had made under her care. The wellness program nurse read the letter but proceeded to weigh me and -- despite my stepping on the scale backward so I would not see my weight -- she announced how much I weighed and what my body mass index was. She remarked that "it wouldn't hurt you to enroll in our healthy eating program." This is precisely the type of trigger that my treatment - and the treatment of people with similar eating disorders - is designed to avoid. She was telling me I was fat-exactly what I needed to hear to stop eating again. After this incident, I stopped eating for two weeks and ultimately ended up in an intensive outpatient treatment program. I had taken a leave of absence after a suicide attempt and inpatient treatment for chronic depression and anorexia nervosa. I had gained a few pounds and my depression had stabilized, and I was looking forward to returning to work I found meaningful. But when I walked in the door, I was inundated with signs about our workplace weight loss contest-a "Biggest Loser"-style competition. For someone who was struggling desperately to gain weight, this was nothing less than an affront. Signs told me that "Nothing tastes as good as skinny feels." Then, flooding in my inbox were the emails encouraging us to only eat half our lunch, and to try to sneak in an extra workout during our lunch break. Never mind that these behaviors were exactly what had landed me in the hospital.I had to quit my job. Like the screenings, the health questionnaire inappropriately suggests that thinner is always better. Based on my answers, the wellness program assumes that I have unhealthy eating habits, but it does not account for the fact that my diet is carefully prescribed by my treating doctor in response to a multitude of food allergies. I am allergic to all grains, and as a consequence, in 2013 I switched to a natural fat, unprocessed, grain-free diet. My health markers began to improve at that time. The wellness program, however, identified my eating as unhealthy because of the fats included in my diet. As a result, I was docked "health points" and was given recommendations such as "eat less," "unsupersize your meals," and "go Mediterranean to transform your health and your weight," and attend Weight Watchers. After receiving these messages that suggested I was overweight and eating poorly, I began experiencing greater symptoms of my eating disorder and began purging. The whole experience was a nightmare. They conducted the screenings in the music room at school, with different tables and stations set up. About 10 or 12 teachers and staff members were in the room at one time, so there was little privacy. When we got to the end, a wellness "counselor" went over our results. The lady saw my triglycerides number and immediately asked, "Does diabetes run in your family?" "Is obesity an issue in your family?" I asked why. [Editor's note: it is not legal to ask about family history.] She said that a high level of triglycerides means that the body has "too many fat cells" and that I am at an "increased risk." To someone who has struggled with an eating disorder, as I have, this was tantamount to saying "Because of your high triglycerides, you are fat. You are obese. 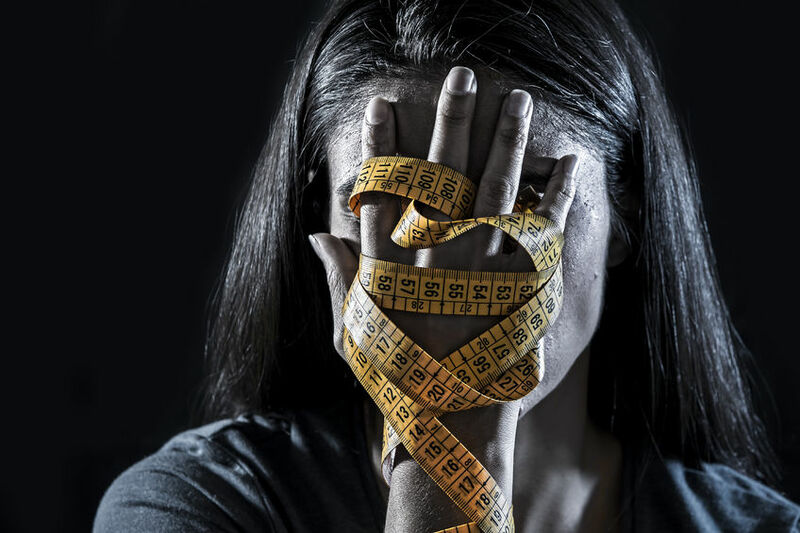 "Being weighed is always a humiliating and shameful experience for me, as it is for many people with eating disorders, and it can trigger exacerbations of my disorder. To have to be weighed in front of my peers made that experience even worse. This biometric screening triggered my disorder. I was in tears by the time I got to the last "counselor" and had a very hard time controlling my feelings. Unfortunately and ironically, awareness of these abuses changes the game. From this point on, no vendor can claim ignorance as an excuse. Any vendor, any employer, even any employee involved with these programs (meaning you), can be sued if their disregard of employees with EDs causes harms. Clearly, now that you know about this risk, you need to take steps to avoid it. Training screeners/coaches and selecting vendors who have trained screeners/coaches - and have endorsed the Code of Conduct -- would be good first steps. For additional steps, please see Jon Robison's "Pulse" on linkedin. Even so, mistakes can be made, setting you up for liability. Fortunately, there is a solution. Find a vendor that will provide an intervention that (1) is ED-compatible and (2) indemnifies you against liability for employees with eating disorders in your employ. I know it's not always about me (my first wife was quite clear on that) but as of this writing, there is only one such vendor, Quizzify, which offers an entertaining health literacy/consumerism tool developed in conjunction with doctors at Harvard Medical School. In addition to contractual formal indemnification, Quizzify offers an ED-compatible health literacy/consumerism curriculum that eschews weighing and nutrition "coaching" altogether. We are willing to assist other vendors in learning about EDs and in writing this indemnification language even though it means losing our unique market position, because the health of many employees is at stake. Absent Quizzify and hopefully some other vendors someday, there is no solution other than to retrain your staff and cross your fingers.Between the stories, the harms and the liability, it's enough to drive you to drink. Or else! Special thanks to Chevese Turner and her colleagues for her assistance, and guidance in understanding eating disorders, and to Jennifer Mathis for helping these individuals organize their stories and describe the impact that their wellness programs had on their lives.